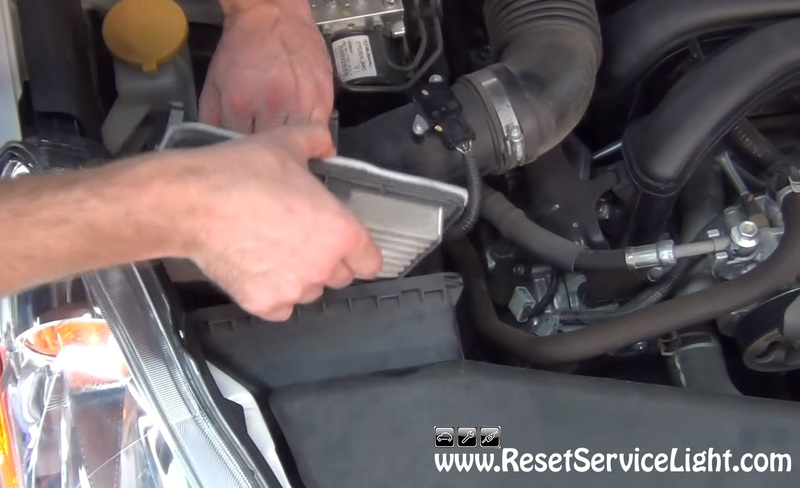 Do it yourself, change the air filter on your Subaru Legacy, the model manufactured between the years 2009 and 2014. You will not require tools for this replacement. It can be done very simply in less than 5 minutes. At first, open the hood and go behind the headlight, on the passenger’s side, to locate the air box. This black plastic box (see picture below) contains the air filter. 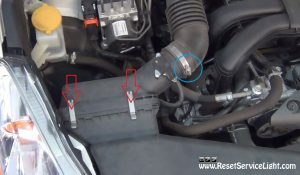 You will have to remove the metal latches that hold together the two sides of the air box. This will give you access to the filter. If you still find it difficult to reach the air filter, you can loosen the intake hose’s metal collar and detach the hose. Then pull out the old filter from the box, as you can see below. Now you can replace the old filter and install the new one. We always recommend to buy and use only compatible filters, for your car, so make sure the new filter is clean and looks the same as the old one. Secure the filter in the air box with the two latches and reinstall the collar on the intake hose (if you removed it earlier). This is all you have to do, if you need to change by yourself the air filter on Subaru Legacy, made between the years 2009 and 2014.